Posted: Tuesday, May 29, 2018. 2:05 pm CST. By BBN Staff: Last week Friday, May 25, 2018, the only credit union in San Ignacio and Santa Elena Towns, St. Martin’s Credit Union (SMCU) held its 69th Annual General Meeting (AGM) at the Sacred Heart College Auditorium in San Ignacio, Cayo. The AGM brought together over 900 faithful members of the credit union. The members were updated on the successful performance of SMCU within the financial year that ended on March 31, 2018. The President of St Martin’s Credit Union, Dr. John Morris reported that with over 9,100 members, the credit union’s total assets grew more than 10% and now stands at over $28.5 million Belize dollars. Morris explained that the effective and efficient utilization of these assets resulted in a net profit of over $1.3 million from which the credit union will pay a 4% dividend payment and capitalize over 11.5% in net institutional capital. Morris noted that the credit union’s loans portfolio grew by more than 11% and member shares/savings by more than 7.3%. SMCU also announced plans to open its first branch in Benque Viejo del Carmen in just a few days. The inauguration ceremony is scheduled for Saturday, June 9th at 3 pm and will open to the public on Monday, June 11th 2018. The evening ended with giveaways of many prizes and surprises. 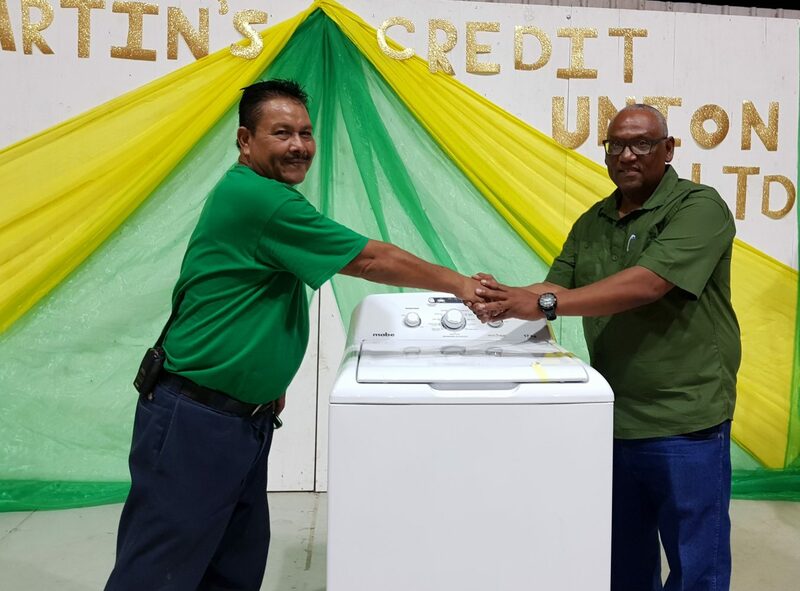 Lucky member Orlando Guzman went home with a top-of-the-line brand new washing machine. Saint Martin’s Credit Union has been serving the Cayo District since 1949 and is entirely owned by its members.